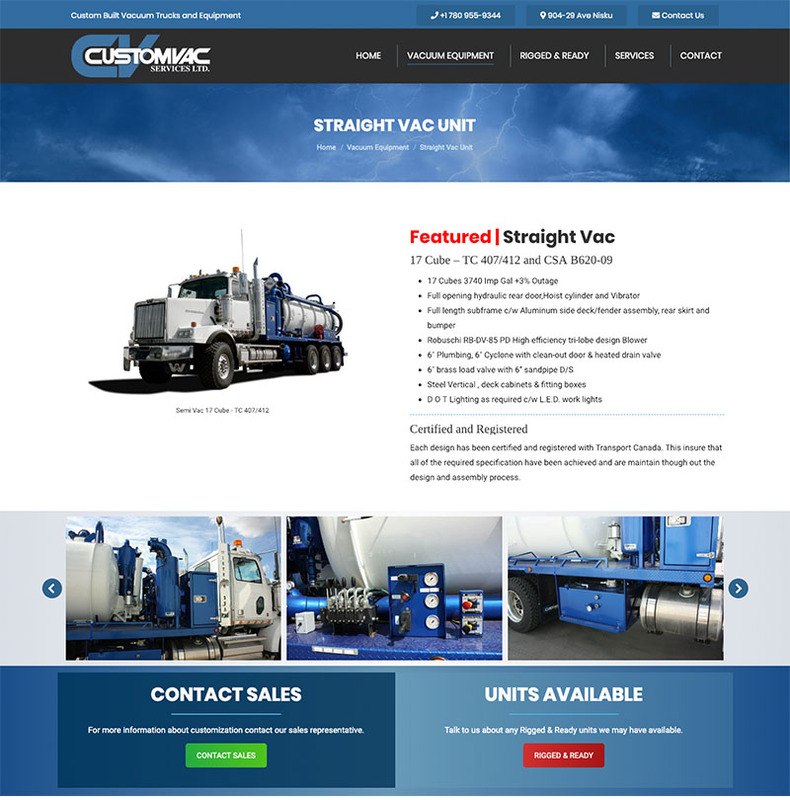 Custom Vac Services Ltd. offers custom built industrial vacuum equipment that is widely used in the Western Canadian Oilfield. As their business grows, they decided that it was time to update their website to something more modern. With this new web design, we’ve updated their graphics and layout. 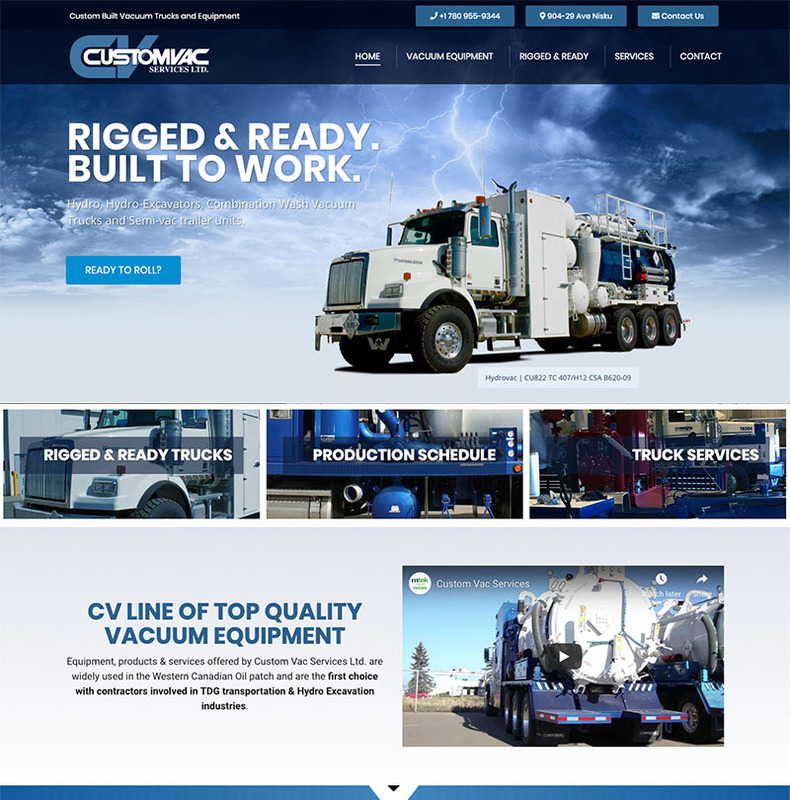 The new site is mobile friendly to the users and easier to navigate around. We also created a series of videos to help represent their business and services that they provide. 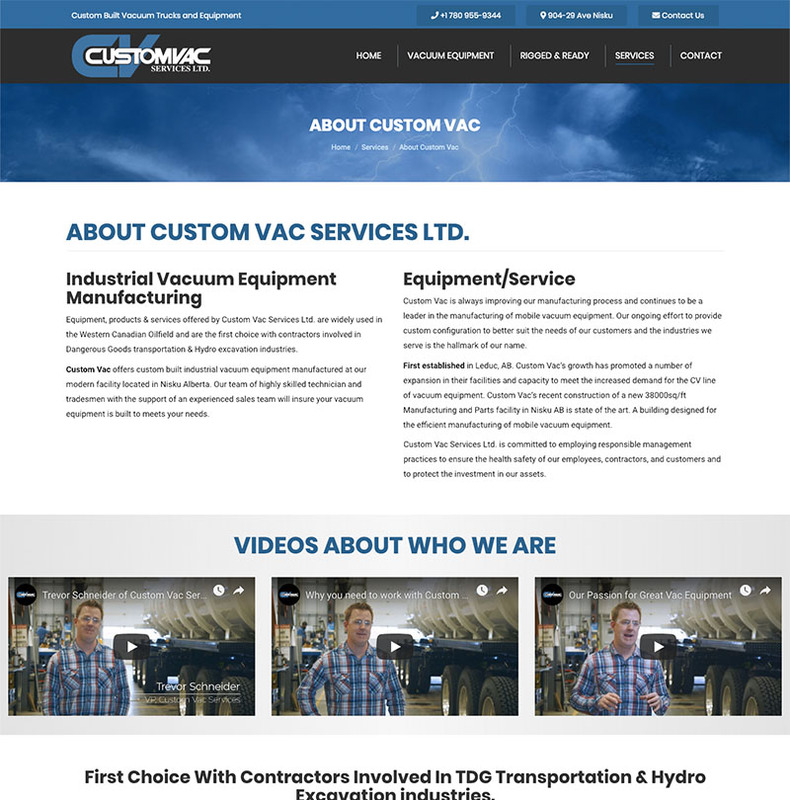 CLIENT: Custom Vac Services Ltd.